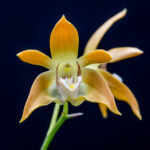 While this orchid is most commonly known as Dendrobium tetragonum (var. 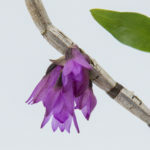 giganteum), it also is more recently recognized as Dendrobium capitisyork. 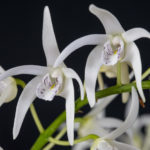 The Dendrobium tetragonum complex has been proposed to be split into four range- and habitat-distinct species, with little overlap. 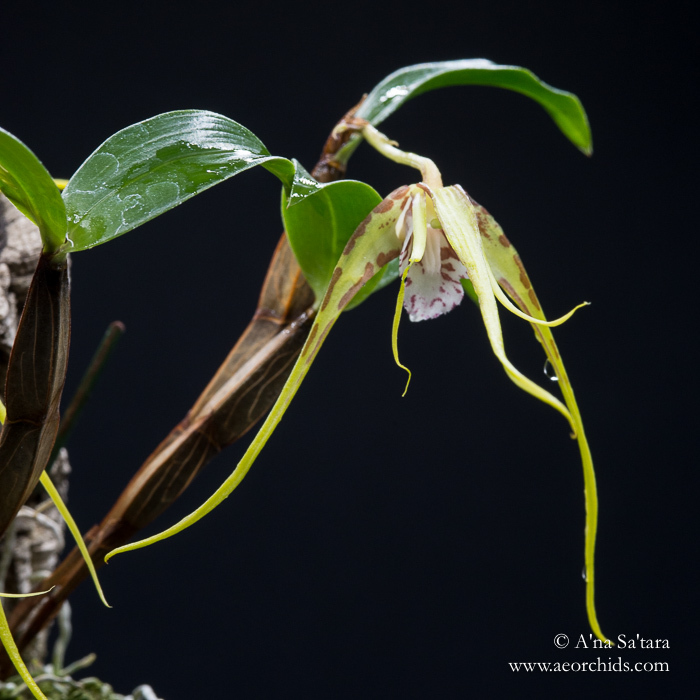 There is a detailed discussion of the differences on the website of the Sonoma County Orchid Society. 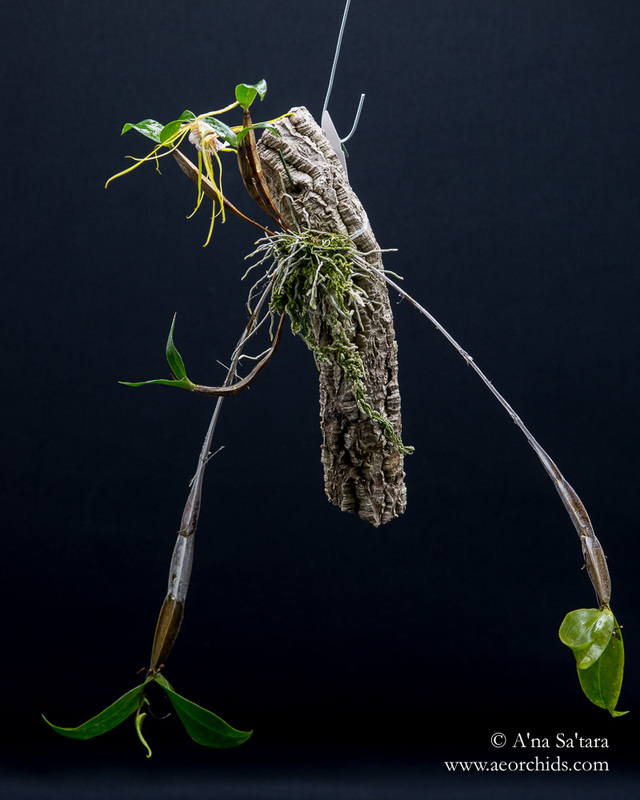 Dendrobium capitisyork is endemic to Cape York in Queensland, and nominally the warmest growing, though it can be found up to 2600′ (800m). I continue to grow mine in the cool area with winter nights in the upper 40s and daytime highs in the 70s. 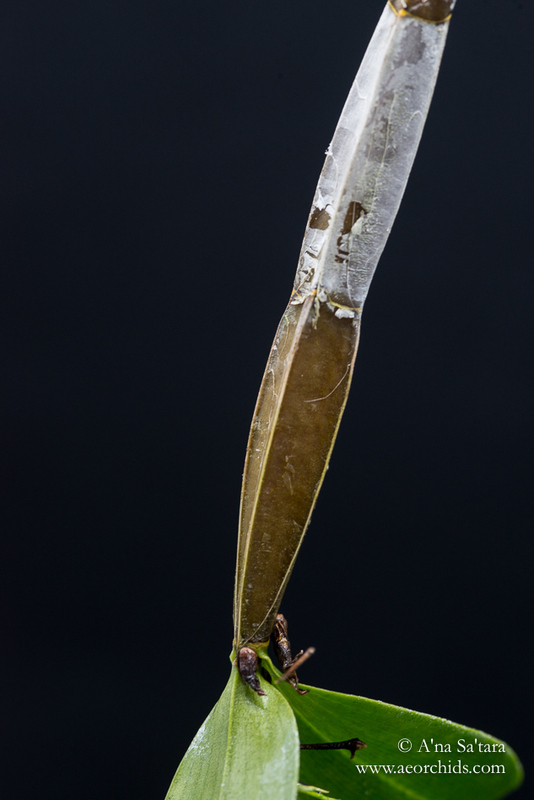 “Tetragonum” refers to the four-sided canes; the last image in the series is a close-up of the unique angular structure.